Since the annexation of Crimea in 2014, the peninsula has faced a difficult situation. Russian authorities have pursued a repressive policy against the locals: searches and arrests of Crimean Tatars and pro-Ukraine citizens have become routine. Crimean residents increasingly find themselves in a zone of lawlessness. Crimeans also need protection while outside of Crimea – in particular, from discrimination and harassment at the hands of Ukrainian authorities. 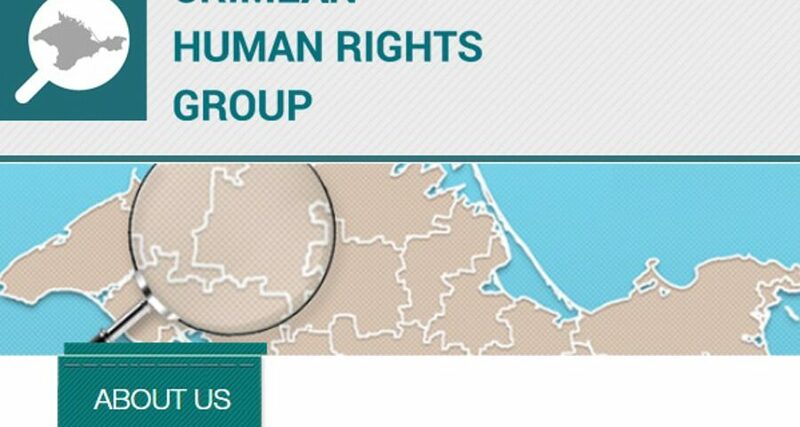 Offering such protection is what the Crimean Human Rights Group (CHRG)1http://crimeahrg.org/ has been doing since it was set up by a few Crimean human rights activists immediately after the beginning of the Russian occupation, even before the annexation. CHRG is a non-governmental organisation whose members are experts of different nationalities, including citizens of Ukraine, Russia and other countries. The group is officially based in Kyiv, while its participants work in and outside of Crimea. The exact number of CHRG participants is kept secret for security reasons. The group’s members collect and analyse information on the situation with human rights in Crimea, document violations and keep government authorities, international organisations and mass media informed about the events in the peninsula. In its work, the team is guided primarily by the standards stipulated in fundamental human rights instruments, such as the Universal Declaration of Human Rights, the Helsinki Final Act, the Convention for the Protection of Human Rights and Fundamental Freedoms, the International Covenant on Civil and Political Rights, and the International Covenant on Economic, Social and Cultural Rights. Initially, a team of human rights defenders started their operation in February 2014, immediately after the Russian troops appeared in Crimea. Then the activists continued as part of the Crimean Human Rights Field Mission Initiative. In 2015, Russia’s Federation Council entered the group in its so-called “patriotic stop list” and labelled it, along with 12 other NGOs, among them the Open Society Institute (Soros Foundation) and the National Endowment for Democracy, an “undesirable organisation”2“The Federation Council Publishes Its ‘Patriotic Stop List’ of 12 foreign NGOs”, Interfax, http://www.interfax.ru/russia/452158. “After that, we had to reformat our operation,” says Olga Skrypnyk, a human rights activist from Yalta and the leader of the Crimean Human Rights Group. The group’s participants continue to receive anonymous threats, while Olga has twice been arrested by the FSB, but thanks to pressure from the global human rights community and international organisations, in particular the OSCE statement, has been released without consequences3“At OSCE, United States Report Russia’s Pressure on Journalists and Human Rights Activists in Crimea”, Ukrinform, https://www.ukrinform.ru/rubric-krym/2195323-ssa-v-obse-zaavili-o-davlenii-rossii-na-pravozasitnikov-i-zurnalistov-v-krymu.html. “The first trend is politically driven persecution. According to the Crimean Human Rights Group, more than 40 people have been targeted by politically motivated criminal proceedings. The case of ‘Ukrainian saboteurs’ is a striking example. Although no actual attacks occurred and false evidence was used, nine individuals are currently in custody and Russia has been exploiting this case in the international arena. For example, shortly before the G20 summit, Putin referred to this case when he refused to negotiate the Crimean issue, so it obviously had a political purpose. The case of Vladimir Balukh is another example of trumped-up proceedings. In 2015, the Ukrainian activist raised a Ukrainian flag over his house in Crimea, and some time later posted ‘The Street of the Heaven’s Hundred Heroes 18’ sign on the wall. As a consequence, FSB officers came and searched his house, then arrested the activist. They alleged having found 90 rounds of ammunition and several TNT blocks in his attic. The ‘February 26’ case into clashes outside the building of the Supreme Council of Crimea in Simferopol on 26 February 2014 also falls into this category. The sole purpose of the proceedings was to harass people who opposed the Crimean authorities. This was one of the first criminal cases against Crimean Tatars in the annexed Crimea. In April 2017, defence lawyers succeeded in having two defendants, Ali Asanov and Mustafa Degermenji, released to house arrest after almost two years in pre-trial detention. “The second tendency is suppression of freedom of speech. Independent mass media have virtually all been destroyed in the peninsula, while those which still operate have gone into hiding. The entire informational space has been monopolised, and individuals have faced increasing restrictions in terms of expressing their opinion. “The third tendency is the lack of opportunity for people to defend themselves. Crimea is now a grey zone without permanent representation of international organisations, such as the Red Cross and others. International presence is limited to one-off missions. For example, in 2014, Council of Europe Commissioner for Human Rights Nils Muižnieks visited Crimea. He issued an objective report, which Russian authorities could not accept and effectively denied him further entry to Russia. In 2016, they restricted the duration of his proposed visit to 48 hours in Moscow alone, and he cancelled the visit. For collecting good-quality data, continuous monitoring is essential, yet absolutely impossible. Normally, courts can provide a remedy, but the judicial system in Crimea is staffed by officials loyal to Russian authorities. People of dissenting opinion stand no chance of getting fair treatment and justice. Notable in this regard was the case of Maidan activist Alexander Kostenko sentenced to four years; Kostenko, a Ukrainian citizen, was charged with throwing a stone at another Ukrainian, A member of the Berkut riot police, during the revolution in Kiev. Prosecutor Natalia Poklonskaya did not even try to hide the fact that the trial was not about a specific individual’s act, but was instead intended as punishment for the idea. She said: “In judging the defendant today, we are judging not only him, but the very idea of ​​fascism and Nazism which now, 70 years after the Great Victory, has been trying to rise again and raise its head.” The judicial system in Crimea is extremely biased. According to Olga Skrypnyk, there are reasons to expect the situation to become even worse in 2017. In addition to repressive practices described above, new and alarming trends have recently emerged. “Until recently, authorities dispersed only those rallies which had something to do with Ukraine and Ukrainian identity; since late 2016, however, we have observed them disperse other gatherings as well, even those loyal to the Kremlin,” notes the human rights activist. She refers, for example, to the Deceived Crimea protest in Simferopol, which its organisers had intended as an appeal to Russian President Vladimir Putin asking his protection from local authorities whom the protesters accused of corruption and incompetence. However, they were not allowed to voice their opinion. Restrictions on the freedom of peaceful assembly have thus affected other segments of the public. Yet another new and alarming trend since late 2016 has been manifested in the persecution of lawyers. For example, lawyer Emil Kurbedinov was sentenced to 10 days of arrest, and his home was searched in breach of international standards and the Russian law on the legal profession. It is also unacceptable to force a lawyer to serve as a witness, as was the case with Ilmi Umerov’s lawyer Nikolai Polozov, who was forcibly taken to the FSB office in Simferopol for questioning in the case against his client Ilmi Umerov, deputy chairman of the Mejlis of the Crimean Tatar People. “This has obviously been part of a policy of intimidation and pressure against independent lawyers in Crimea in an attempt to deprive Crimeans of access to independent defenders in trumped-up criminal cases,” Skrypnyk concludes. Another example is the so-called Law on the Free Economic Zone of Crimea and the National Bank of Ukraine’s Resolution No. 699 recognising Crimeans as “non-residents”. In particular, it prohibits Crimean residents from opening accounts with Ukrainian banks without proof that they are internally displaced persons. Human rights defenders consider these provisions discriminatory and urge them to be cancelled. In 2014, members of the Crimean Human Rights Group, along with some other civil society organisations, pressured Ukrainian authorities into adopting a law on internally displaced persons enabling migrants to register and have access to local infrastructure, such as schools, kindergartens, hospitals and welfare services, at their new place of residence. In yet another important Ukrainian law on the temporarily occupied territory of Crimea, human rights activists have convinced the authorities to delete the so-called “article on collaborationism”, which was originally part of the said law. According to Skrypnyk, if adopted, it could have been very dangerous by making it possible to prosecute ordinary Crimeans under its fuzzy definition of “collaborationism” and impose disproportionate punishments.